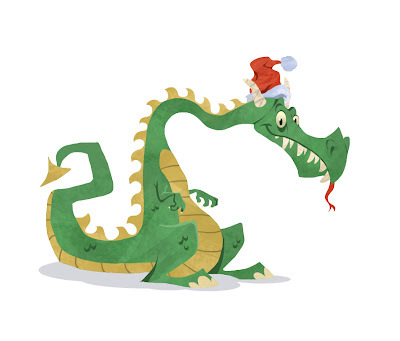 Thought I'd post this really quick sketch of a standard run-of-the-mill Christmas Dragon. I drew this one a bit differently...really quick right in Photoshop just done with shapes using the selection tool. AHHH!!! What is this thing on your blog! Its, whats the word, I have not seen it on your blog in soooo long. Whats the word...NEW! Looks great dog. Love this Dragon! cool, its a nice character! YESSIR! A new blog post! How exciting... now if we can only keep this up you will have a lot of happy blog following friends! NICE Dragon ...! Like it ..! Happy 2011 ..! yeah it's been a bit since I threw something up...it's a character I'm fleshing out for a television series idea I'm cookn' up. I like your Christmas Dragon too. The textures in his skin, did you get those using brushes? I like his color palette too. very nice and christmassy. ohohoh! Nice! I hace a nice dragon in my blog, hehe. Cool stuff here! Really nice work. Really tight style. The cutest dragon I've seen!